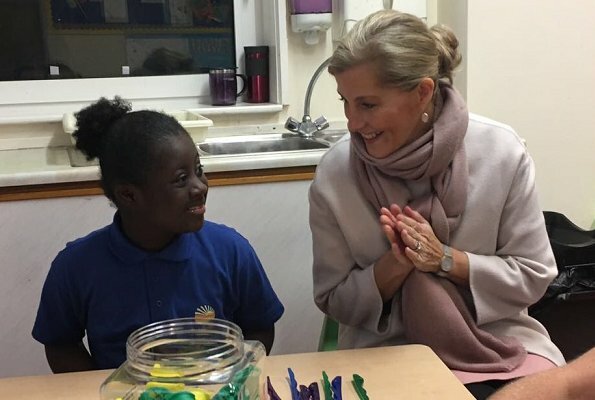 On November 20, 2018, The Countess of Wessex made a working visit to Derbyshire. 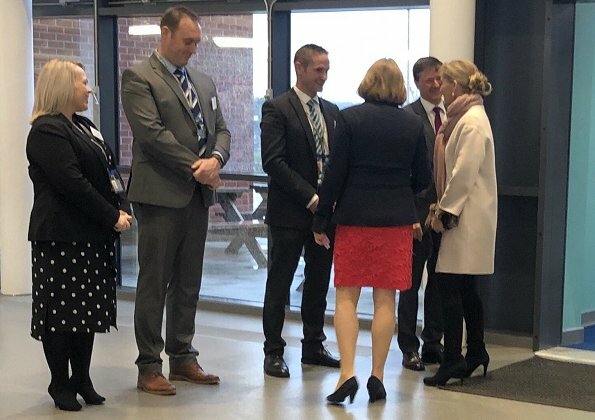 The Countess firstly visited Fairfields School in Northampton to mark its 80th anniversary. Fairfields School is a Community Special School for pupils between the ages of 3 and 11. The Countess later opened a new school - The David Nieper Academy (formerly Mortimer Wilson School) in Alfreton. 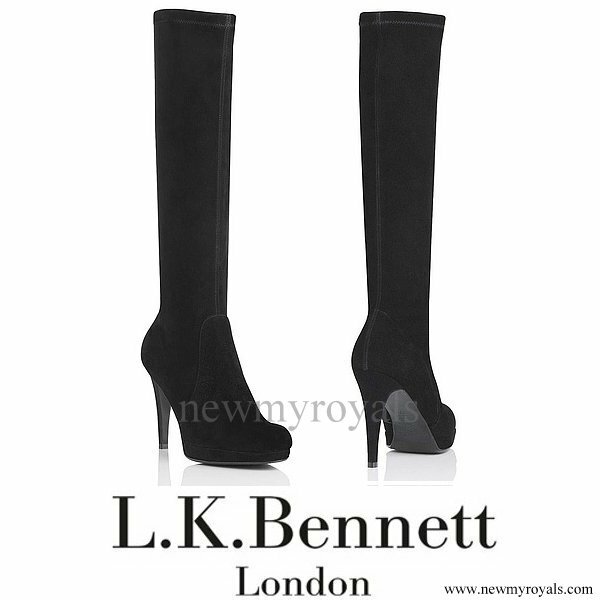 The Countess also visited the David Nieper fashion house. 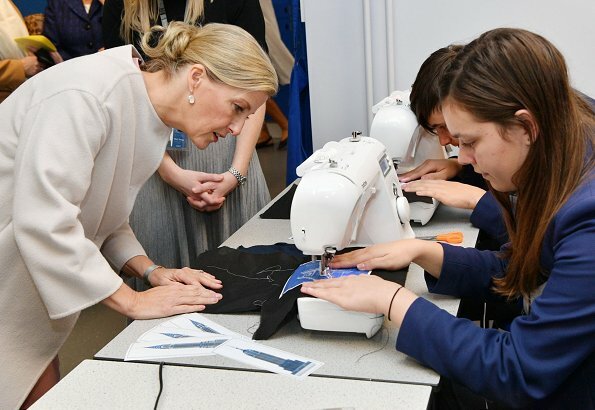 During the tour, the Countess visited the Sewing Academy to meet with trainees on the course, which teaches traditional dressmaking skills. Love her whole look! Pink scarf coordinating with pink dress, cool boots, and one of my favorite of her coats. Appreciate her relaxed, classic style! I wonder, why doesn't she take off her overcoat, especially in the kitchen. There is nothing stylish wearing an apron over it. I read somewhere on order from the queen, the royal ladies are not allowed to remove their coats in public and cameras are around. My guess would be that she's cold because she's wearing a short sleeve dress. Which is odd because she knew that the weather was chilly, so why not wear something warm. Omg @unknown don't be ridiculous. Sophie, Kate, Camilla have all removed their coats "in public"
I really wish people would stop making up these ridiculous protocols that they can do and not do. Like Blair said, it's probably because she was cold. As it turns out, royal etiquette outlines that the duchess must not remove her jacket in public, because it's regarded as "unladylike." The protocol most likely refers to actually being seen removing ones jacket or coat in front of others, photographers included.. which can be awkward depending on the Royal lady's age and her outfit of the moment. But she can certainly disappear somewhere private for a few minutes and reappear without the coat, or carrying it on her arm. Nothing wrong with that. nothing to do with any etiquette. The queen herself sometimes takes her coat off. My guess is that Sophie may have been cold - and/or didn't think that the dress hemline was quite as long as she would like it to be (it's different when it just peaks from underneath the coat). Plus, adding an apron would have pulled the dress further up. Sophie is fantastic-she looks so younger! It's not always easy to tie a scarf to look good. She looks good. But even if I don't love what she's wearing she always looks so pleased to be there and interested in whatever the engagement is. Css Sophie looks good always has a smile. Coat on or off..Sophie looks great!